Tigers are one of the most beautiful wild cats in the world, and the idea of having a miniature version of a Tiger has been a dream of many. Wild dreams do come true! 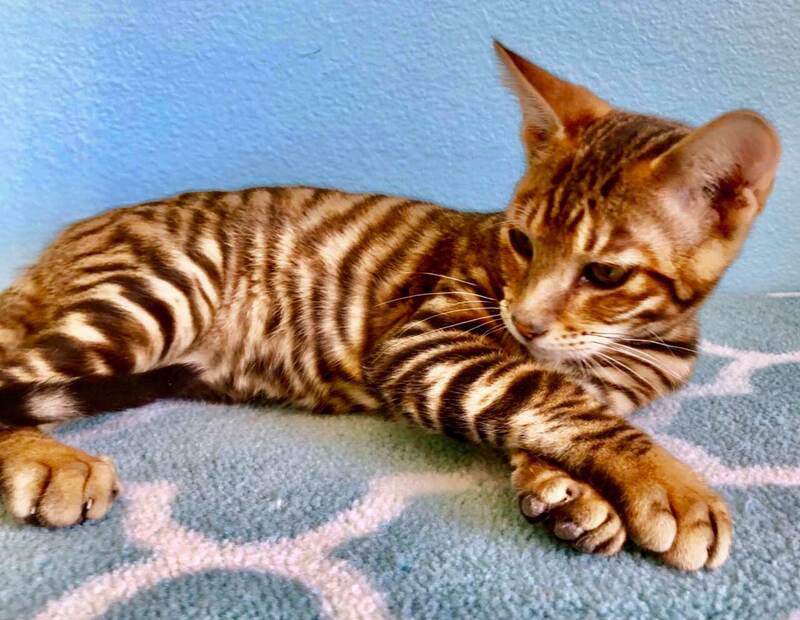 A mini tiger cat is now a reality! 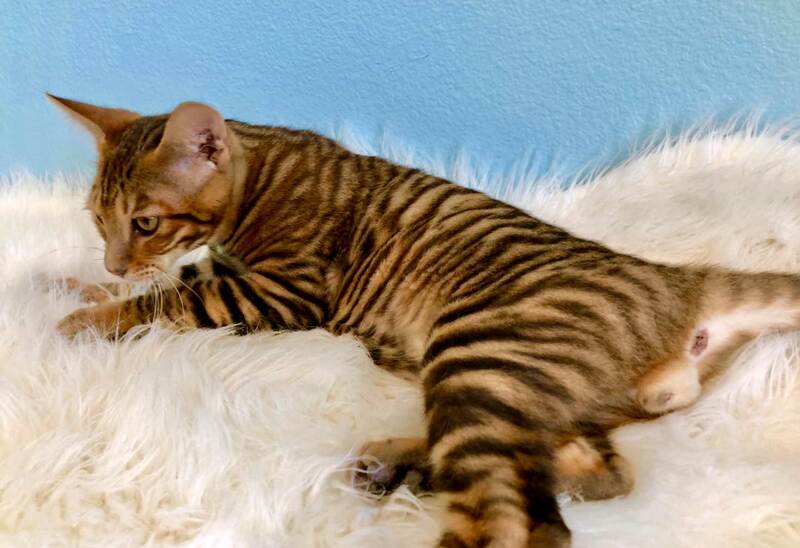 “Toyger” meaning Toy-Tiger, is a medium sized domestic cat that has been bred to resemble the beauty of wild tigers. 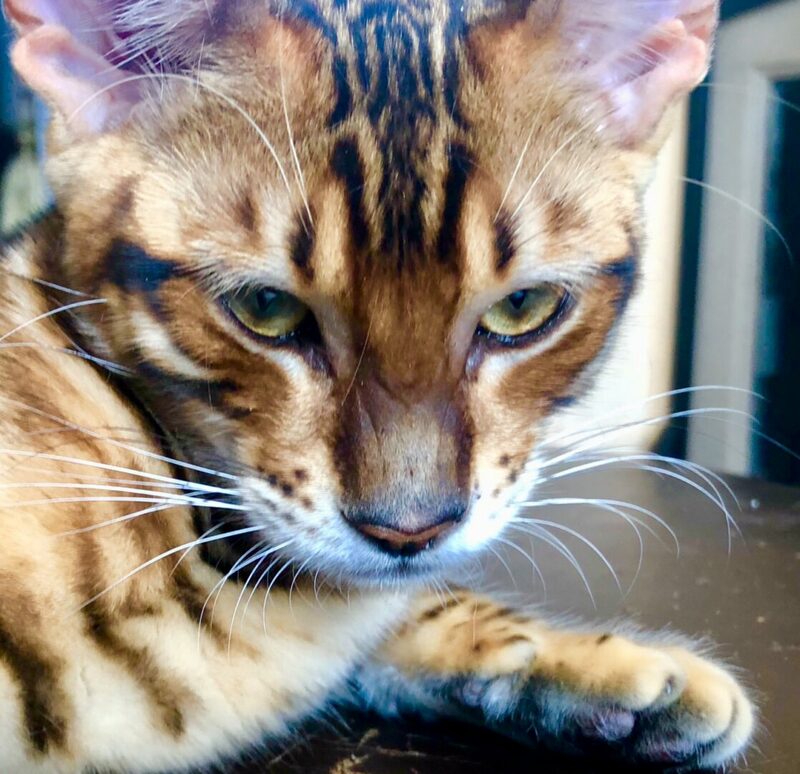 It is important to note that not a single drop of tiger blood was used to create Toygers. 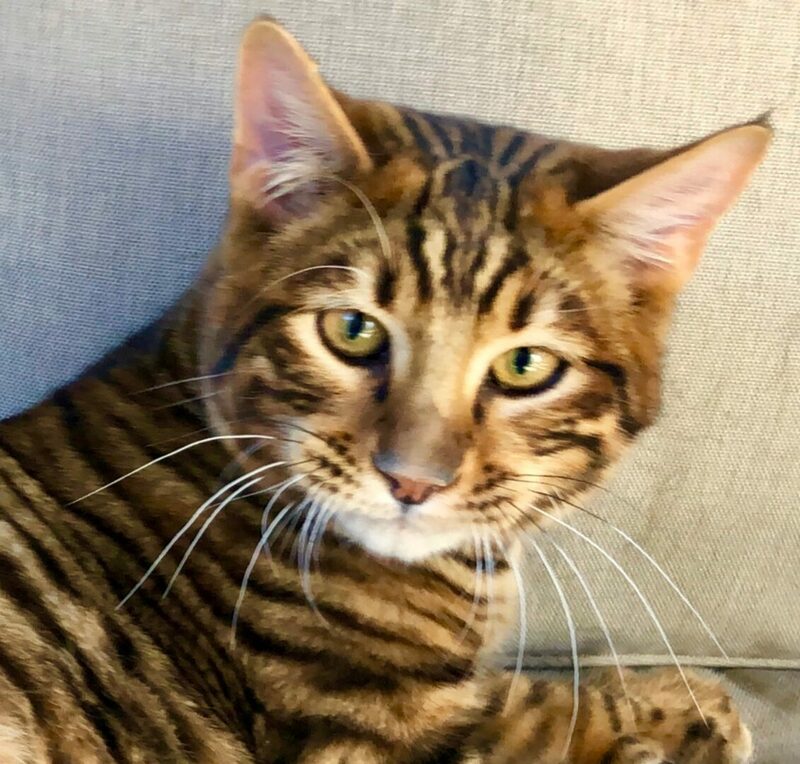 Toygers are not “tiger hybrid”. 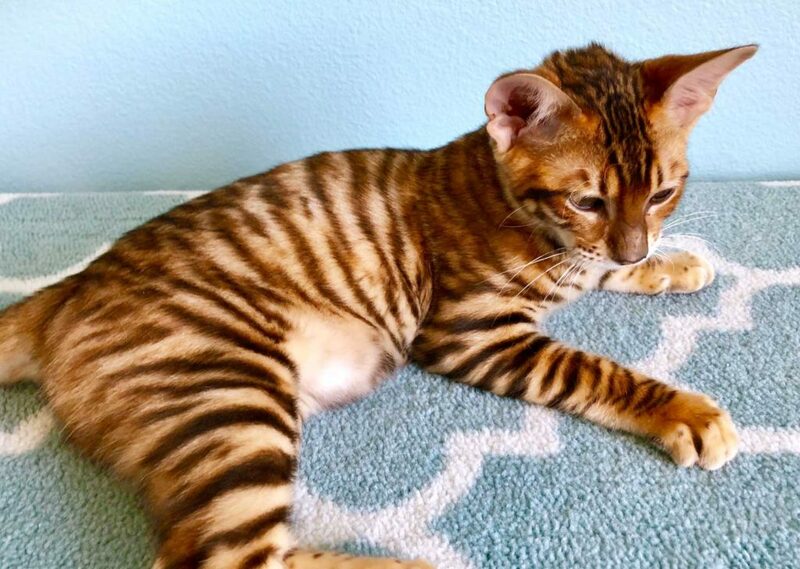 Toygers are completely domestic cats. 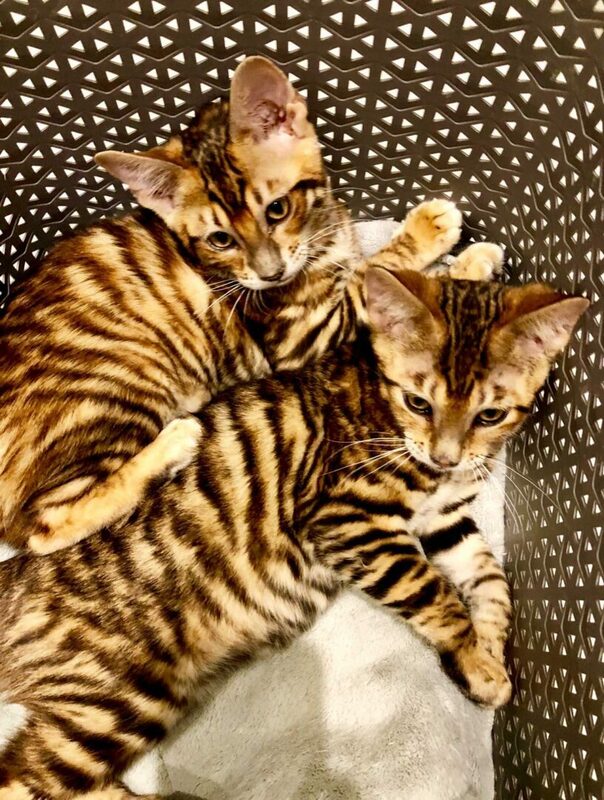 In the late 1980’s Judy Sugden started the creation of this beautiful new breed of cat by breeding domestic cats that have the vertical striped patterns. After many years of hard work, in 1993 TICA accepted Toygers for registration. 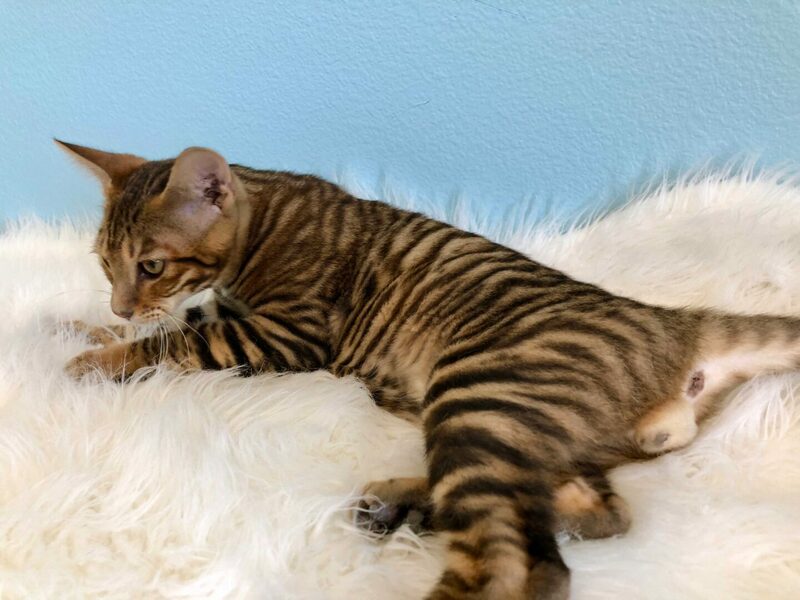 In 2000 Toygers were advanced to the new breed exhibition class. 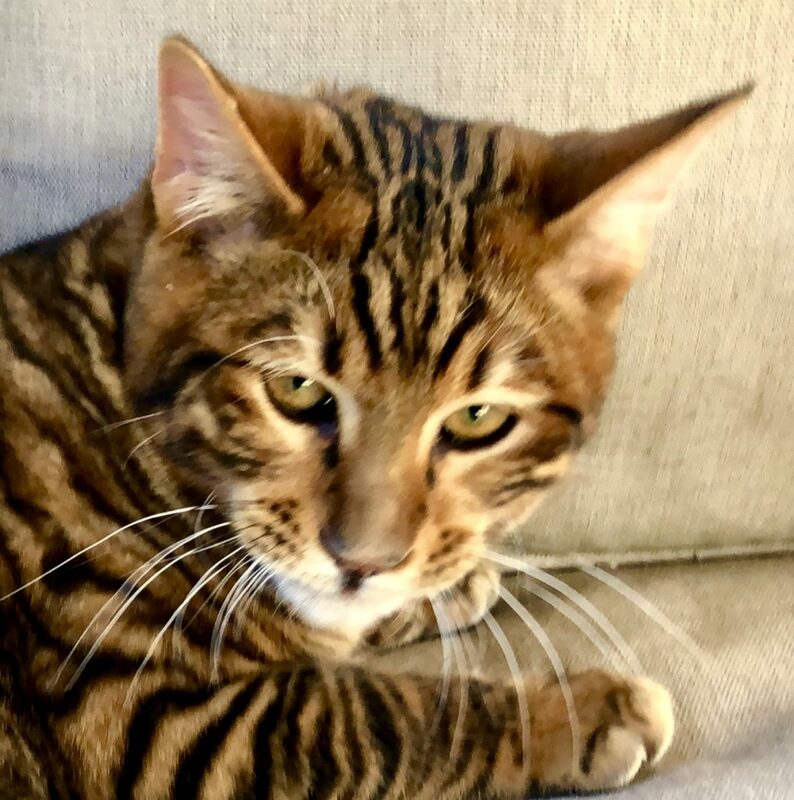 Finally, in February 2007, Toygers were granted full recognition as a championship cat. 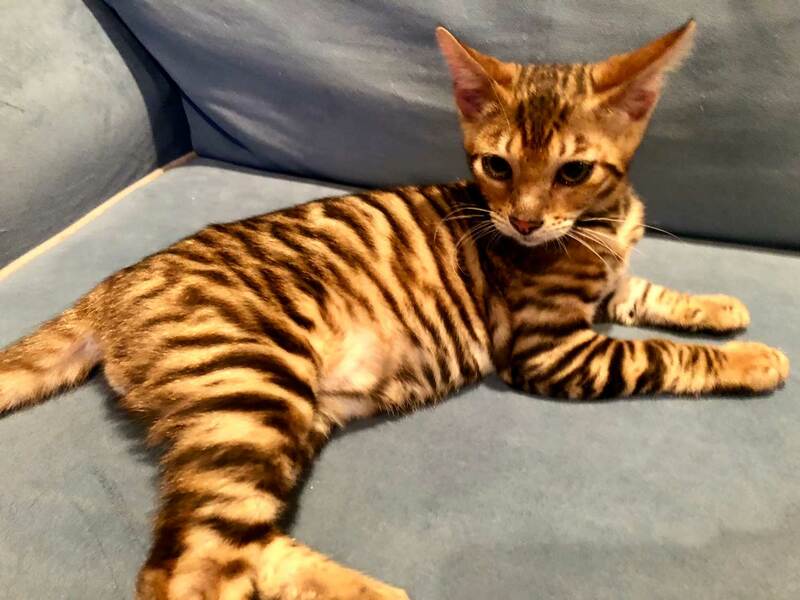 Toygers is still a new breed, and Toyger breeders including myself all work towards the goal of continuing the work and vision of Judy Sugden to improve the traits of Toygers to resemble the look of a wild tiger. 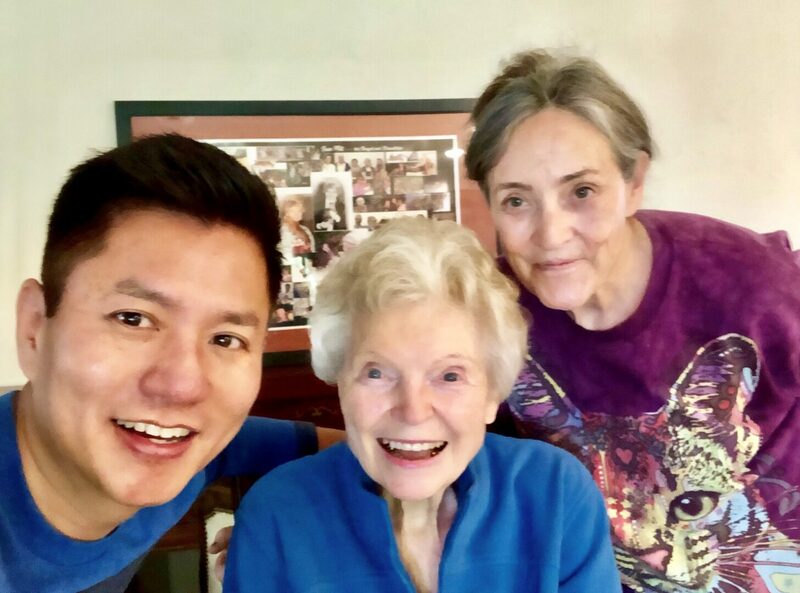 I’m honored to have the creator of Toygers, Judy Sugden mentor me. 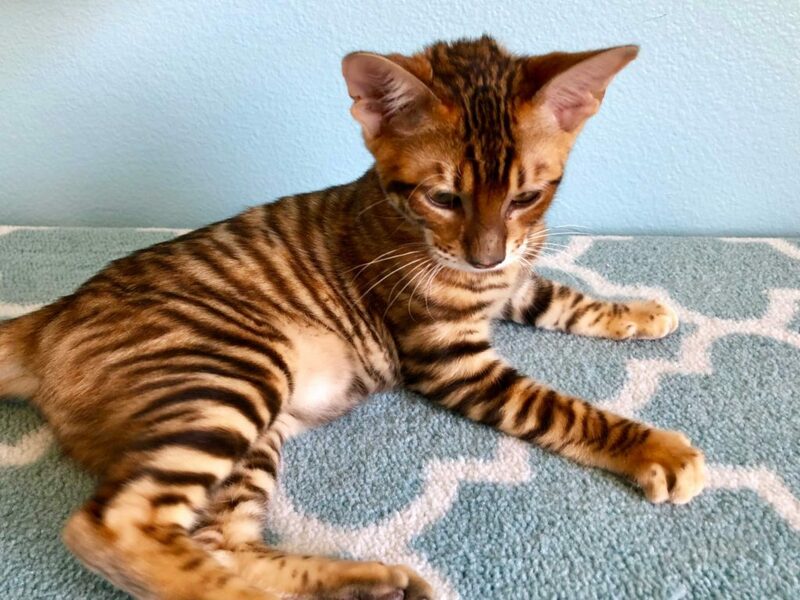 There are only a few Toyger breeders in USA that works with Judy Sugden and her vision of Toygers. 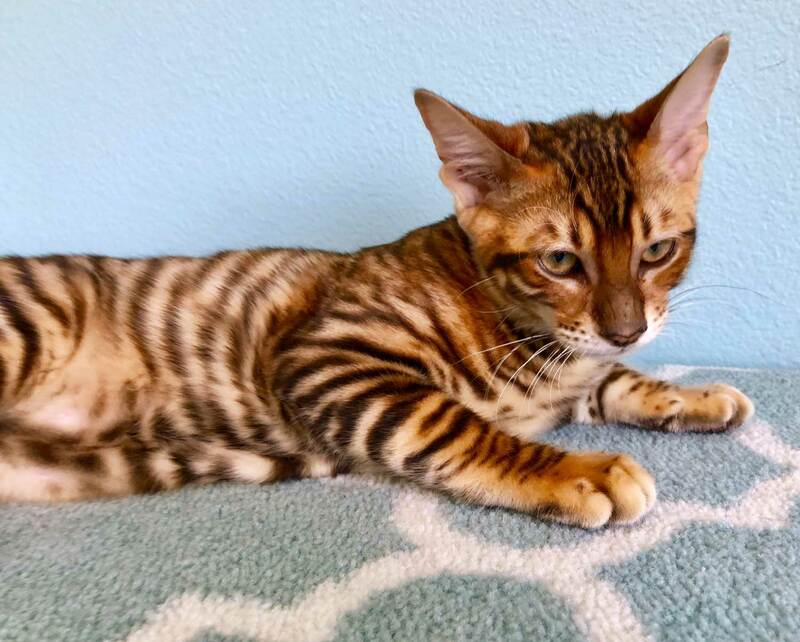 I am the ONLY Toyger breeder in Los Angeles that has the latest Toyger’s genetics from Judy Sugden. 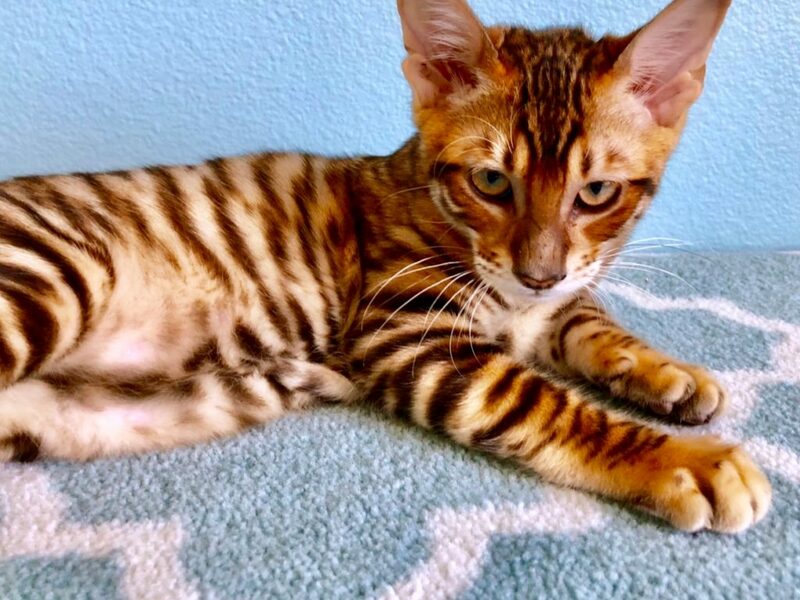 The personality of Toygers are friendly, outgoing, and loves to be with people. They can be taught to walk with a harness and leash, and play fetch. 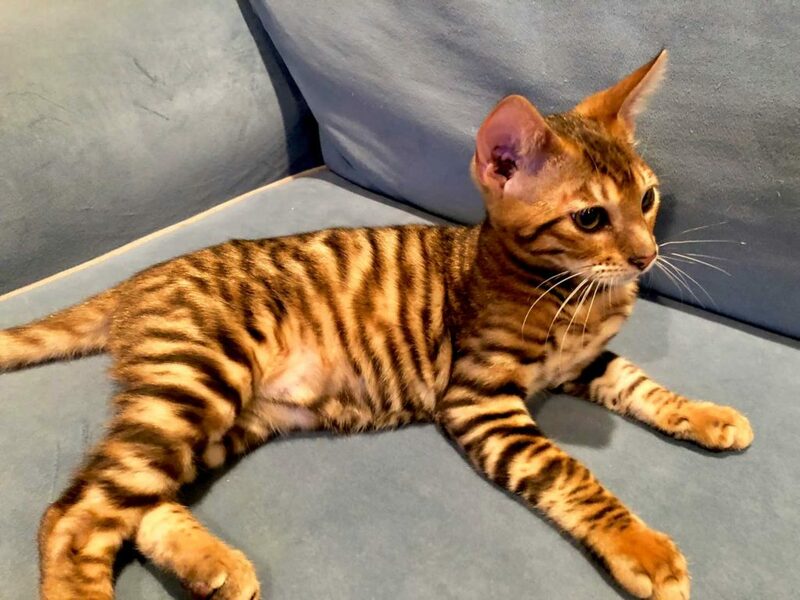 Toygers are laid back, calm, and easy to fit in with the modern urban lifestyle. 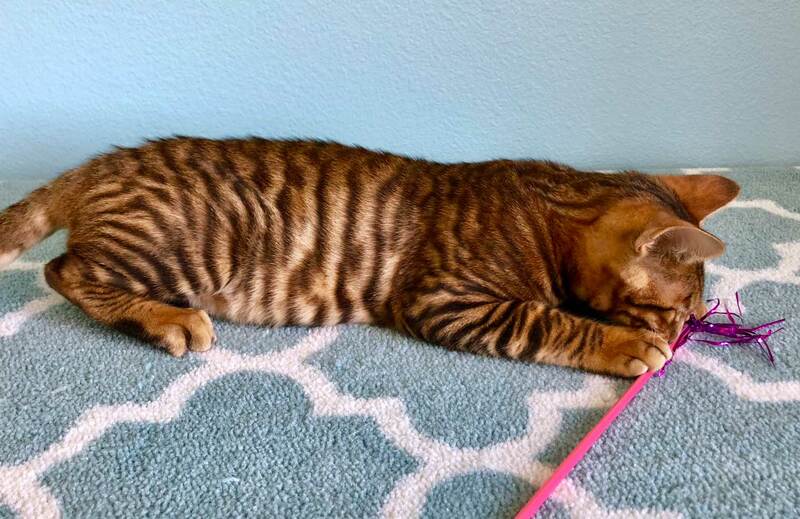 Like Bengals, Toygers are very intelligent. I just love how sweet they are. 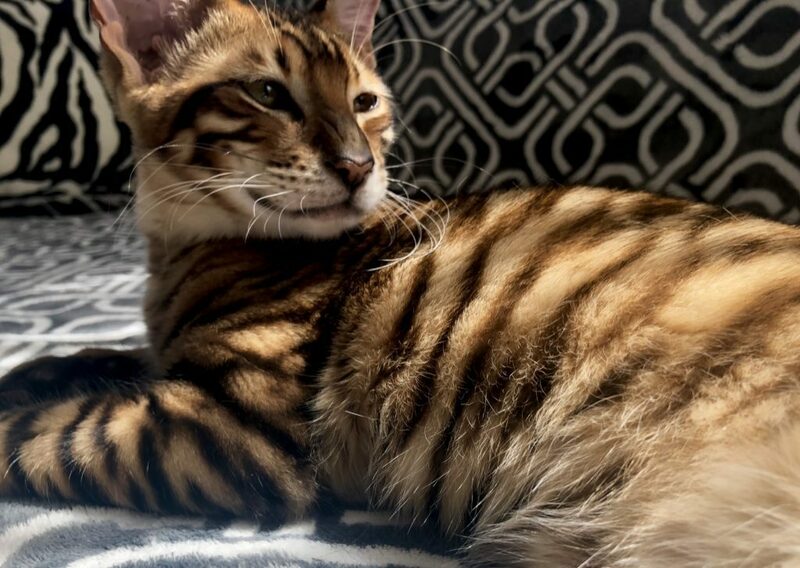 Many people have striped cats that made them think they have a Toyger, but when compared to a pure bred Toyger’s vivid bold stripes, and tiger like face, a Toyger is easily distinguishable! 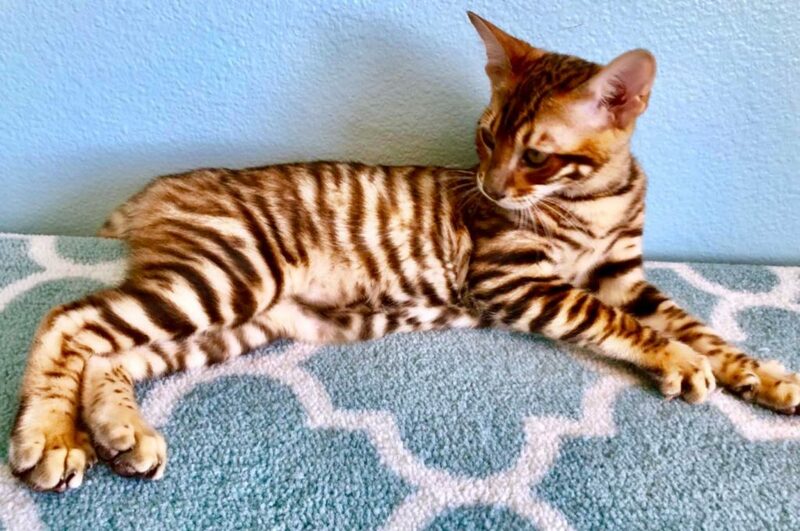 Today’s Toygers have the coat pattern that is striped, similar to the wild tigers. A high quality Toyger also have smaller eyes and longer face that resembles a tiger face.